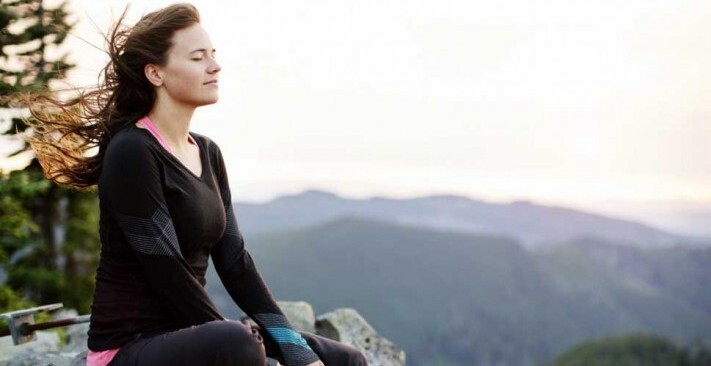 The Transcendental Meditation technique is being increasingly recognized as a means to help people recover from the intense stress that results from the experience of trauma. 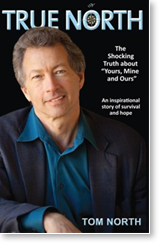 In his recent book, True North, Tom North recounts his story of survival and recovery from a life of child abuse and domestic violence, and writes about the vital role that the TM technique played in his recovery. Child abuse is one of our nation’s most serious public health problems. It occurs at every socio-economic level, within all ethnic groups, cultures and religions, and at all levels of education. Each day in the United States, four children die as a result of child abuse. According to the National Center on Child Abuse and Neglect, more than half a million children in the United States experience some form of serious abuse each year. Numerous studies show a link between child abuse and a wide range of problems such as depression, alcohol abuse, drug addiction and juvenile delinquency. “I am committed to raising awareness of these serious issues. Though my own healing is ongoing and literally day-by-day, I feel I’ve made it through, and I want to let other victims know that there is help and hope. In my book I quote Dr. Haim Ginott, author, educator and clinical psychologist: “Children are like wet cement. Whatever falls on them makes an impression.” There are literally hundreds of thousands of victims around the world and the silence that surrounds these issues is deafening. Child maltreatment is a global problem with serious life-long consequences. Studies show that children who experience physical, emotional and sexual abuse may be marked for life. From stress that is associated with the disruption of early brain development and impairment of the nervous and immune system, to stress that contributes to heart disease, cancer and suicide, child abuse victims are at risk. But, once the damage from child abuse and domestic violence has been done, what does one do about it? Of course, prevention is the best hope for reducing child abuse and neglect and improving the lives of children and families. Most often, the emotional content of abuse is pushed down into the victim’s sub-conscious mind where it festers and contributes to behavioral problems throughout life. Some even block it out. Many choose to self-medicate by engaging in substance abuse of one kind or another. Coping from day to day, victims get by, until they get fed up enough with their misery. Then, they gather the courage to make real, lasting changes in the way they feel and behave, and they get help. Many reach out through support groups made possible by professional organizations. In my case, I was very fortunate to have had the opportunity to learn Transcendental Meditation (TM), and it was my first step to recovery. I was amazed at the immediate changes in how I felt. For example, I had been so bitter and angry that I had been unable to give a compliment, and I didn’t know why. As soon as I learned to meditate, I actually found myself giving compliments to people as I recognized the good in others. The longer I practiced TM, the more relaxed I became. Every meditation seemed to reduce my defensiveness and sarcastic nature. Over time, people even commented that there was something different about me – I seemed less stressed, more relaxed. In truth, I was getting in touch with the goodness in myself as I was beginning my healing journey. Hundreds of scientific studies conducted at more than 200 independent universities and research institutions over the last forty years attest to the benefits of TM in a wide range of expressions – from physiological to psychological and emotional, to promoting health. These benefits may not always show up right away as they did in my case, but show up they will. 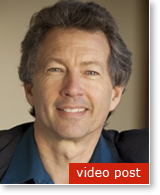 Tom North is a successful financial advisor, writer and poet. He’s married and has two daughters. Tom has written extensively about scuba diving, jade hunting in the wilds of Big Sur, and spiritual topics as well. He is working on his second book, The Economics of Spiritual Transformation. The video below shows how the Transcendental Meditation technique is being used to help teenagers in a recovery program in Los Angeles to overcome the stress of years of abuse and get their lives back on track.